Is there an issue on your lake you need help with? ~A problem involving your loons? ~Loons nesting, but you’re not seeing any chicks? ~Loons and people not getting along so well? Perhaps you think your lake is a good candidate for nesting, but you’re not sure if the loons there are interested? We can help. After all, the reason we seek support and assistance is so we can use those resources to do our job: which is to help people manage the loons on their lake for better success, or restore their lake as a nesting territory. So, if any of the situations above apply to you, or you have a situation I’ve not mentioned, please use any of the dropdown boxes on the “Need Help?” page to direct your concern. Don’t wait, far too many lakes are lost because someone ignored a problem, or hoped it would resolve itself, or gave up because they figured their lake was irrevocably lost as a nesting lake. It isn’t unheard of for loons to nest on lakes over 95% developed, some having ungodly amounts of recreational activity. Sometimes all that’s needed are some traffic rules in just the right places, enforced by a buoy or two, and the cooperation of the local DNR Conservation Officer, and plenty of concerned and determined lake residents keeping lookout. Working together, we can make that happen. 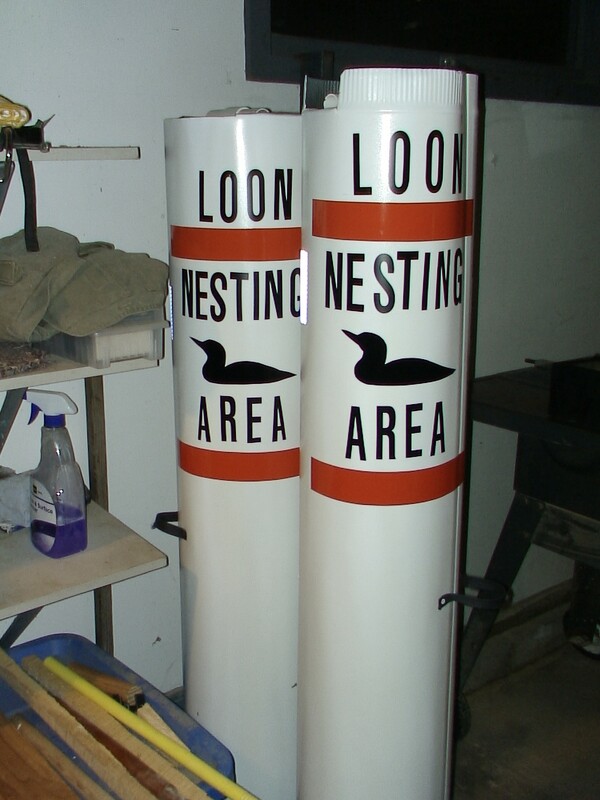 At Five Lakes near Clare mi our nesting Loons are being threatened by Canadian Geese. We had no chicks in 2014 because of them. What can we do to discourage Geese from sticking around? Lynne–I personally haven’t seen problems between loons and Canada Geese, though many of the lakes I cover also have a large number of them. Usually, the male loon is very skilled at keeping them away from the loon’s nest. I don’t know the lake enough to know whether the loon nest can be relocated or if that’s an option at all. However, since that lake is managed by a different Area Coordinator, you’ll want to contact Michigan Loonwatch at michiganloons.org to get in touch with the Coordinator for your county. Someone there should be willing to visit your lake to see what, if anything, can be done.